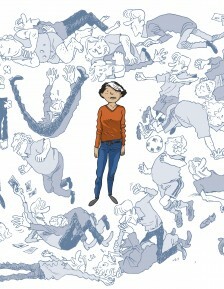 Born in Béthune on 29 September 1958, Didier Vasseur, alias Tronchet, will turn out to be one of the most subversive cartoonists of the late 20th century, twisting the daily events of an average French couple into crazy mini-epics in his famous “Raymond Calbuth”. 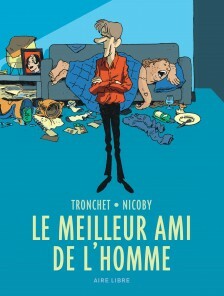 This character was launched in MÉTROPOCHE, a small magazine with local information for the Lille area. 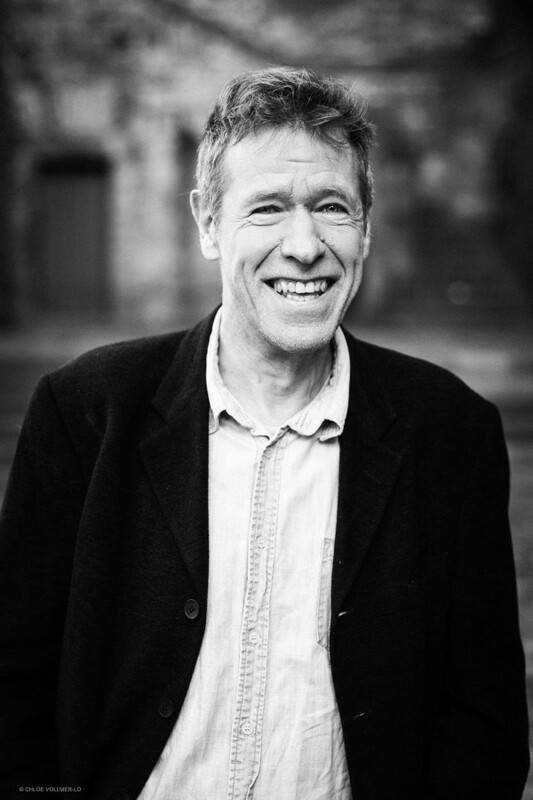 Having first studied law and journalism, he became the editor in chief of this magazine from 1983 to 1986,. Through sheer strength of will and hard work he will gradually develop a highly effective and personal illustrative style. Calbuth will feature in PILOTE for a while and then move on to Glénat in 1987. Tronchet is determined to overthrow classical ideas of humour. 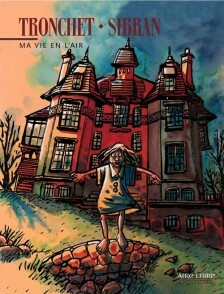 He creates a parody of the traditional adventure hero in three episodes of “Raoul Fulgurex”, illustrated by Dominique Gelli for Glénat. He tries his hand at humoristic strips with “La Bite à Urbain” and “Sacré Jésus !”, two volumes with revealing titles published by Delcourt. 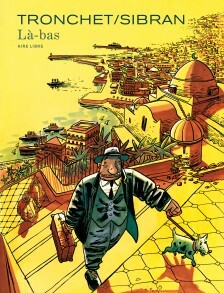 The most iconoclastic of publishing houses fight over his work, which alternates between the totally grotesque and life’s great social tragedies: “Les Damnés de la terre” (semi-realistic stories published by Delcourt in 1987), the series of silly misadventures entitled “Jean-Claude Tergal” (published by Audie since 1990), “La France au fond des yeux” in the magazine L’ÉCHO DES SAVANES, the script of “Bienvenue à Welcome Land” for Al Coutélis (Fluide Glacial/Audie 1998) and the script of “Patacrèpe et Couillalère” for Gelli at Delcourt. Knowing now that he can always make people laugh, he occasionally allows himself to do more serious work, such as “Le Quartier évanoui” based on a script by Anne Sibran (Glénat, 1994) or the very romantic “Toi et moi” (Delcourt, 1998). 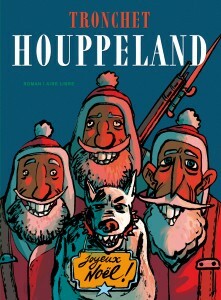 Despite huge demands on his productivity, he still finds the time in 1998 to present the two-part work “Houppeland” in the “Aire Libre” collection: an epic story that defies classification, in which tragedy, crazy humour, modern-day caricatures and wild imagination are finely interwoven in a depiction of the most cheerfully sinister of political regimes ever. In 2002 he brought his subject, Jean-Claude Tergal, to the theatre and the cinema (“Le nouveau Jean-Claude”).